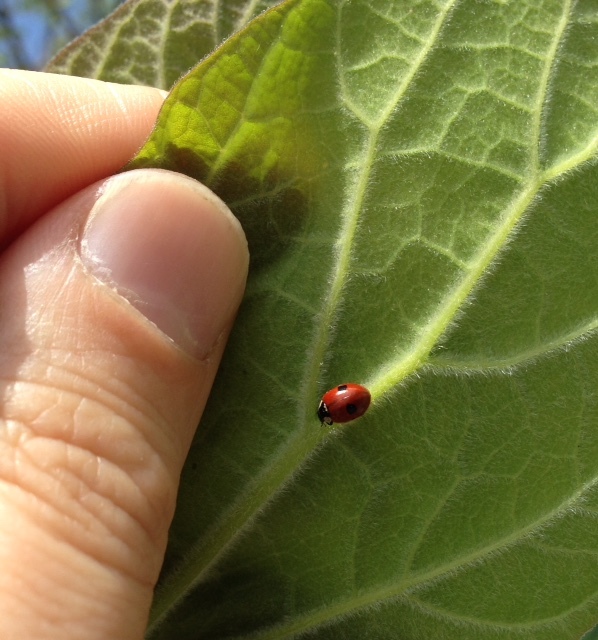 My first ladybug of the year was spotted on the weekend. It was, no surprise, a Multicolored Asian, Harmonia axyridis, which you should expect to see just about everywhere. I also saw very small lady beetle I’m not yet sure of the identification of. 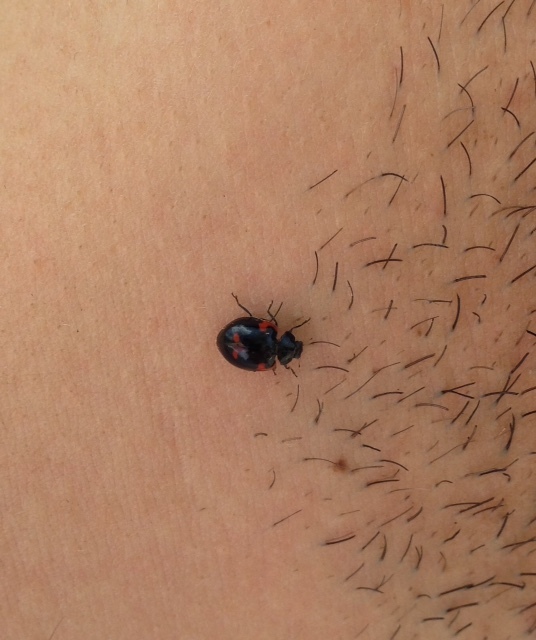 But on Monday, I saw half a dozen Two-spotted, Adalia bipunctata, which made me very happy. (See the essay I wrote about these for Humans & Nature.) This is the classic form. This is the black form. Yes, that’s a human neck it’s on. My cats spotted a bug over the weekend in the apt. So happy to discover it was a ladybug. I rescued it and released outside. I enjoyed your article on them and will look more carefully in Brooklyn Bridge Park. That’s some good eye-sight on those cats.